Mitch received a Bachelor of Science (B.S.) degree in Business Administration with an emphasis in Real Estate and Finance from California State University Fresno. After obtaining his B.S. degree Mitch continued his education with a Minor in Political Science and a Master of Arts (M.A.) in International Relations with an emphasis in International Business/Governmental Relations. After graduating Mitch went on to pursue work in the Non-Profit sector working for the Cystic Fibrosis Foundation. After being transferred a couple times across the U.S. Mitch ultimately moved to his hometown to be closer to his family and pursue a career in Real Estate. His knowledge in real estate ranges from City Planning/Development to Residential Sales. 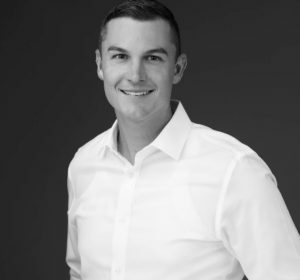 Mitch is a licensed Broker in two states and has been helping his clients achieve their real estate goals for the past four and a half years. He's honored to have helped more than 210 families achieve their goal of buying and/or selling. When Mitch isn’t working you can find him exercising or hanging out exploring with his 8-year-old Siberian Husky or outdoors running, hiking, or paddle boarding!